Let’s get to it! Here’s Rachel Eggers, SAM’s PR Manager with your weekly round up of the art news you need to read. #InfiniteKusama, indeed: The New York Times reports that Yayoi Kusama will open her own museum in the Shinjuku neighborhood of Tokyo; SAM’s exhibition is mentioned. “Winter is always,” says Forbes, as they reference Game of Thrones and feature a gallery of chilly images from SAM’s upcoming Andrew Wyeth: In Retrospect. Here’s Artsy on the resurgence of shamanic practices in contemporary art; Saya Woolfalk, whose ChimaTEK: Virtual Chimeric Space from SAM’s Disguise exhibition was recently acquired for the SAM collection, is included. “…a joyful and awkward water ballet titled ‘Ankle Deep’ in the kiddie wading pool at Volunteer Park.” How local artist Briar Bates wanted her death commemorated. In the Seattle Weekly, comic artist Tatiana Gill illustrates the life of Seattle civil rights legend Reverend Dr. Samuel B. McKinney (now 90 years old!). The Seattle Times reviews exhibitions in Tacoma and Auburn featuring work by Northwest Coast indigenous artists. All 16 of the artists, authors, performers, and architects on the President’s Committee on the Arts and the Humanities resigned last Friday in protest of Trump. Canadian Art profiled Claudia Rankine and a recent lecture she gave in Banff on white supremacy in art and how institutions can respond to it. Now on view at the Princeton University Art Museum: paintings by Howard Russell Butler (1856-1934) depicting solar eclipses before photography could capture them in detail. “I don’t know that a person enjoys ‘Total Eclipse of the Heart’ so much as submits to it.” Celebrate today’s celestial event here. 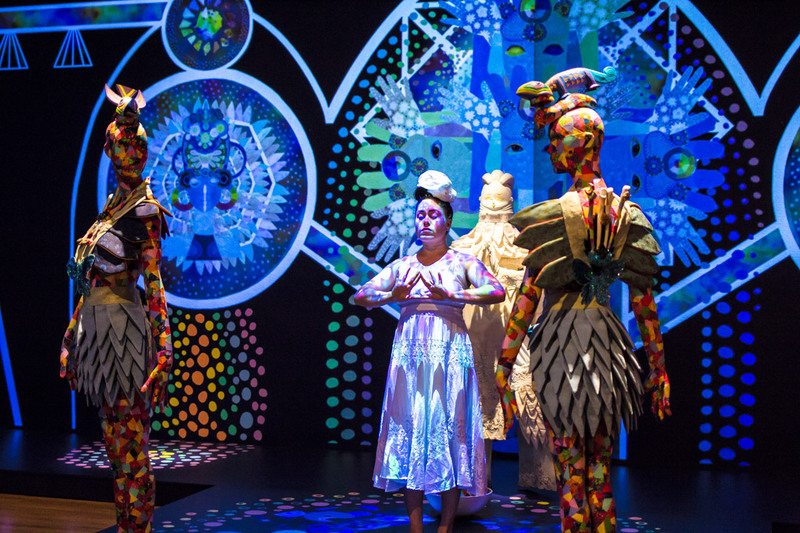 Image: Laara Garcia performs in Saya Woolfalk’s installation ChimaTEK: Virtual Chimeric Space during SAM’s 2015 exhibition, Disguise: Masks and Global African Art. Welcome to our newest blog series, Muse/News—your weekly recap of what’s happening in art news at the Seattle Art Museum and across the world. Check back Mondays for updates on the artists and events making headlines around the world. 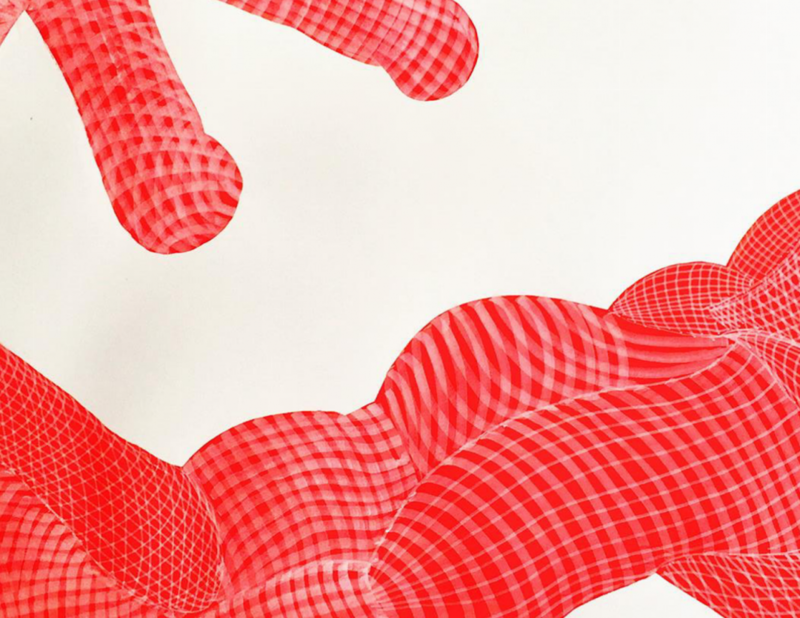 With the Seattle Art Fair come and gone over the weekend, there’s plenty to digest and our PR Manager, Rachel Eggers delivers the scoop here in a perfect bite size. Enjoy! 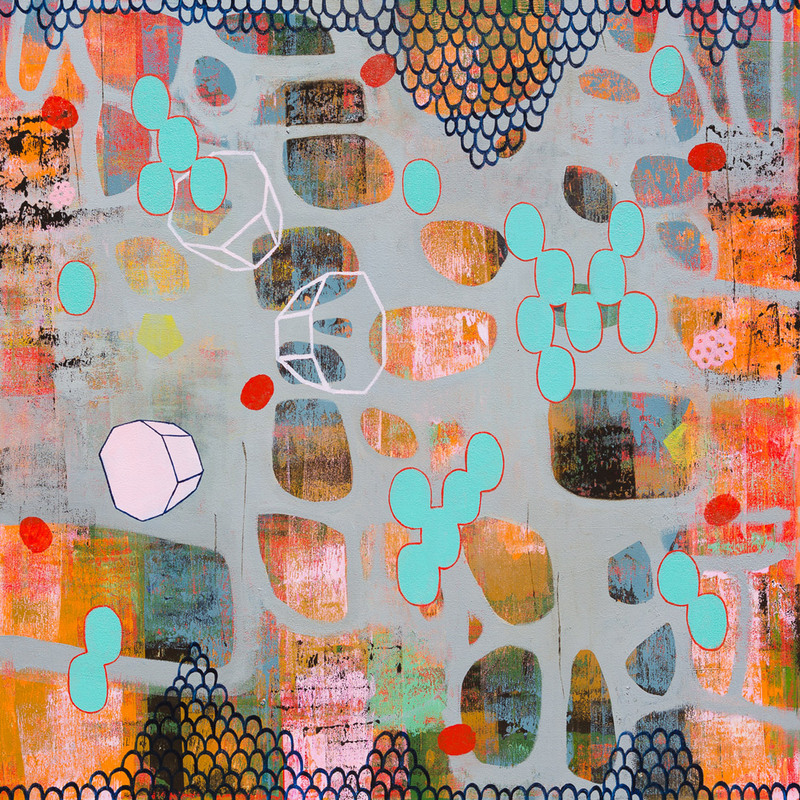 All was fair in the city this past week as the Seattle Art Fair breezed into town for the third year in a row. What initially seemed an ambitious experiment is quickly becoming a welcome mainstay of the Seattle cultural calendar. Chiyo Ishikawa, SAM’s Susan Brotman Deputy Director for Art and Curator of European Painting and Sculpture (phew!) has been named Best Curator in Seattle Weekly’s annual readers’ poll. We’re glad everyone loves her as much as we do. Congrats, Chiyo! Loved this substantial dive into the tensions of “selfie obliteration” in the Yayoi Kusama: Infinity Mirrors exhibition by Erin Langner for ARCADE. Emily Pothast of the Stranger offered compelling thoughts on the fair and offered her five don’t-miss highlights. 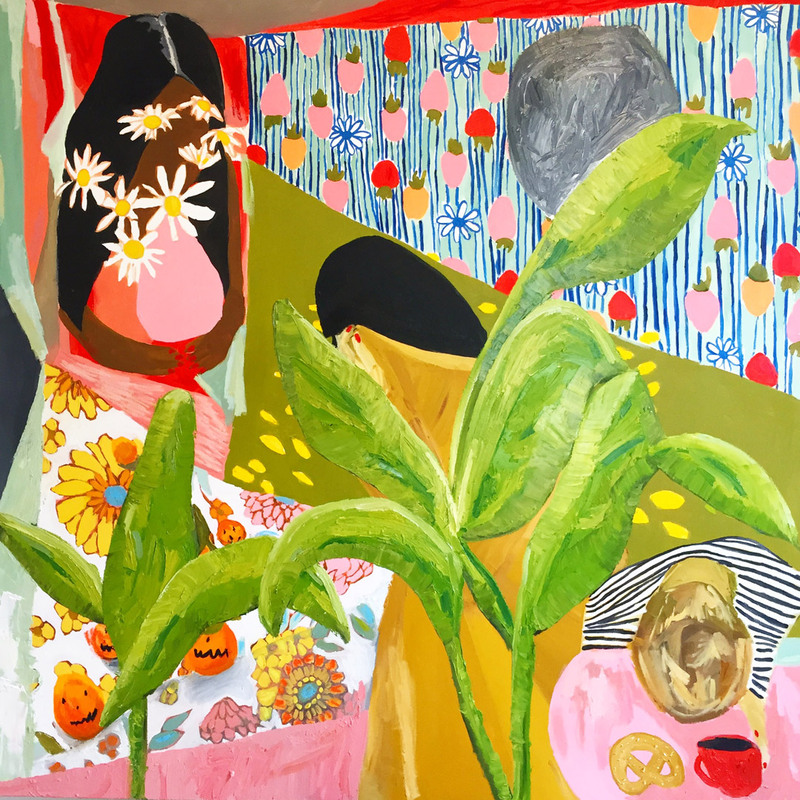 SAM staff got out and about this weekend; check out tips for the Seattle Art Fair from SAM’s Chiyo Ishikawa in Crosscut and David Rue in CityArts. Michael Upchurch of the Seattle Times recently reviewed the Henry show on local sculptor Doris Totten Chase (looks groovy!). Are you “here for the right reasons”? The New York Times visits a rose-filled one-night show. After the recent casting call here, maybe we’ll see a Seattleite embark on the “journey” next season (ugh, you know you’ll watch again). “What should one do when faced with images of violence?” That’s the question writer and critical theorist Sarah Sentilles took up this week for the New Yorker. She appears tonight at Elliott Bay Book Company to discuss her new book, Draw Your Weapons. 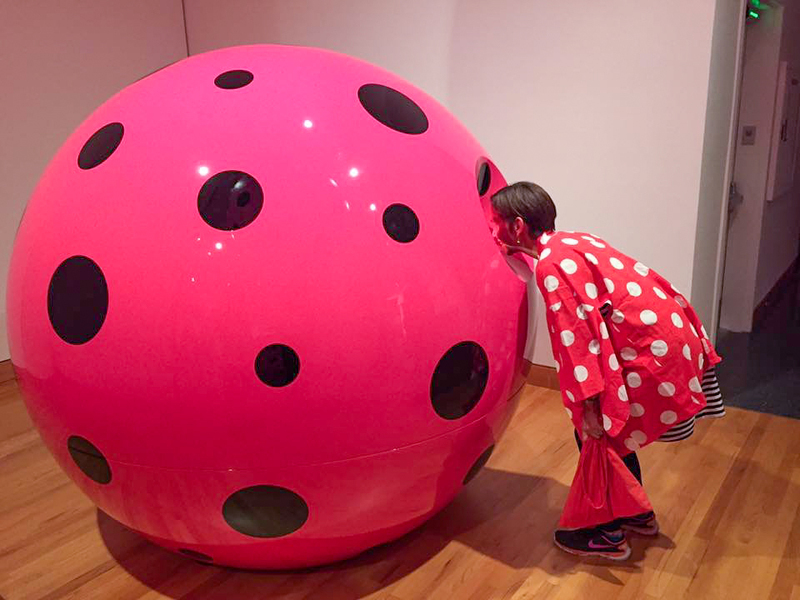 Photo: Chiyo Ishikawa, SAM’s Susan Brotman Deputy Director for Art and Curator of European Painting and Sculpture, dresses the part while considering Kusama’s multiverse. Alexandrew (Alex) Wong is an artist and native Seattleite, raised in the south end of the city. He attended Franklin High School where he first learned to use wood tools to create art. 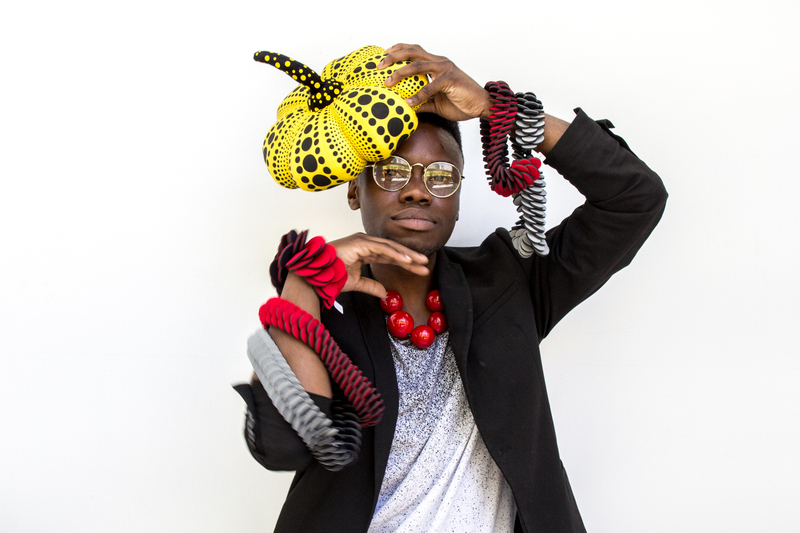 At the University of Washington, Alex thrived and was accepted into the School of Art as a 3D4M major. 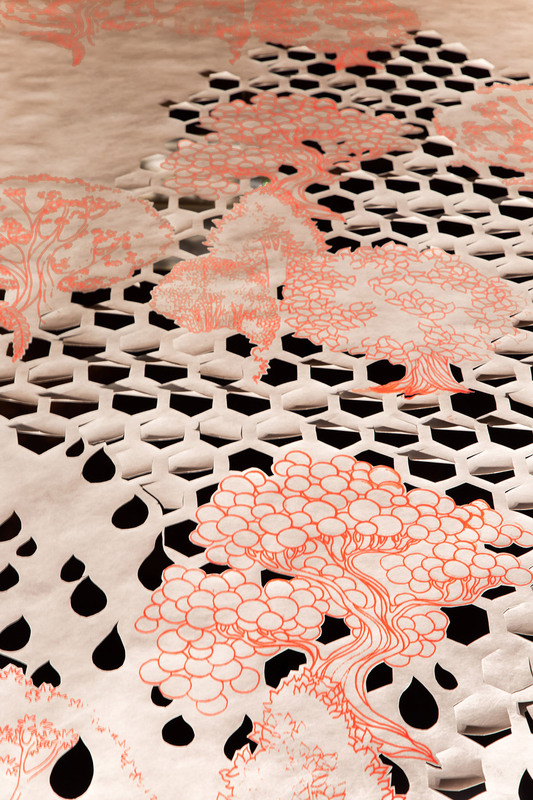 He gained skill sets using tools to create multimedia sculptures with glass, wood, steel, and ceramics. Alex joined the SAM as a Visitor Services Officer (VSO) after he graduated. He’s been here for about a year and a half and truly enjoys it. SAM: Yayoi Kusama: Infinity Mirrors opened June 30 and runs until September 10. What is your favorite piece in this exhibition? 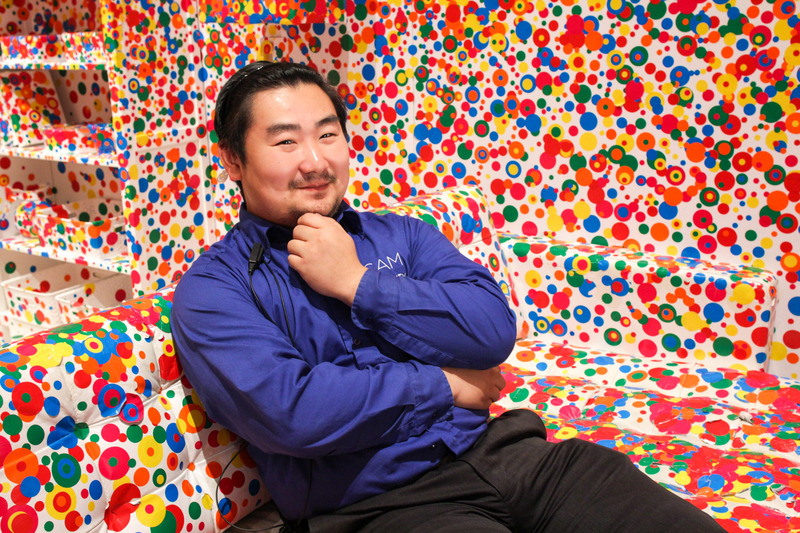 Alex: My favorite piece in Yayoi Kusama is The Obliteration Room. The idea of creating a room and sticking colored dots on the living room surface is genius. The concept is so playful and colorful. One thing I struggled with in school was using color, I was terrible at it. 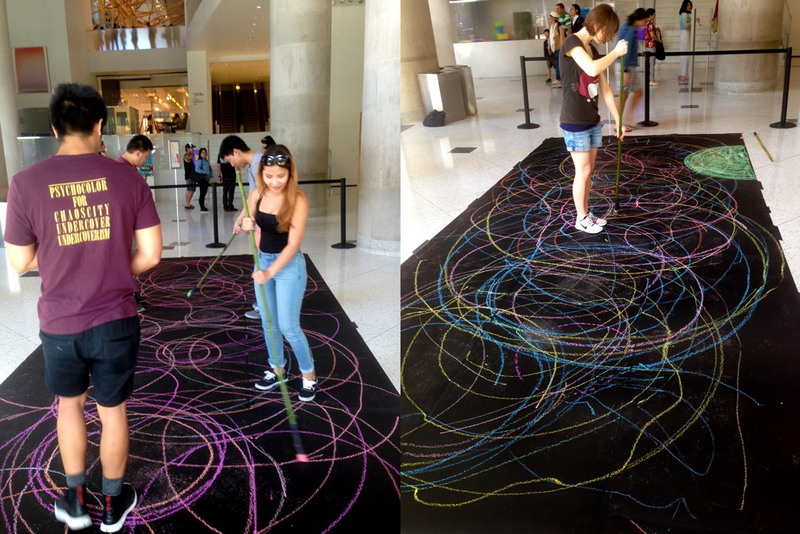 But the room itself uses people to contribute to the art and has them color the piece themselves. Genius. My favorite piece at SAM is the Native American house posts. The skill in creating those posts is phenomenal. Imagine the carver themselves, just chipping away at a log for hours to create the four things that hold your house up. Kendrick Lamar, his music keeps me going. When it’s time to get hyped, I start bumping his tunes. For those wondering put on “m.A.A.d City,” “Swimming Pools,” “HUMBLE,” “King Kunta,” and “Backseat Freestyle.” Tell me these don’t get you hyped up too. The bathrooms in the forum are to the left at the end of John Grade’s Middle Fork (the south side of the tree). I work at an art co-op in Capitol Hill, Blue Cone Studios, where I create ceramic sculptures. So to whomever is reading this, come check my work out. I’ll teach you a thing or two about clay. I’ll provide materials and lessons. We do art walk every second Thursday. Come by and let’s talk art. 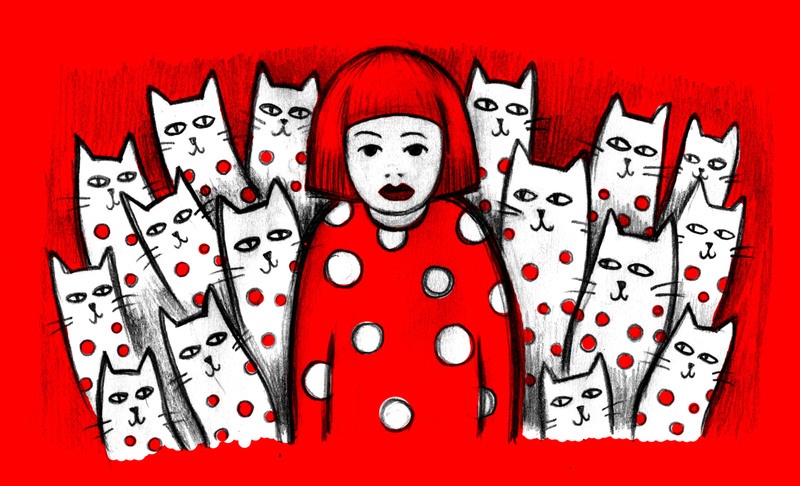 Yayoi Kusama declared her official purpose on her visa application to the United States in 1957 as exhibiting art in Seattle. 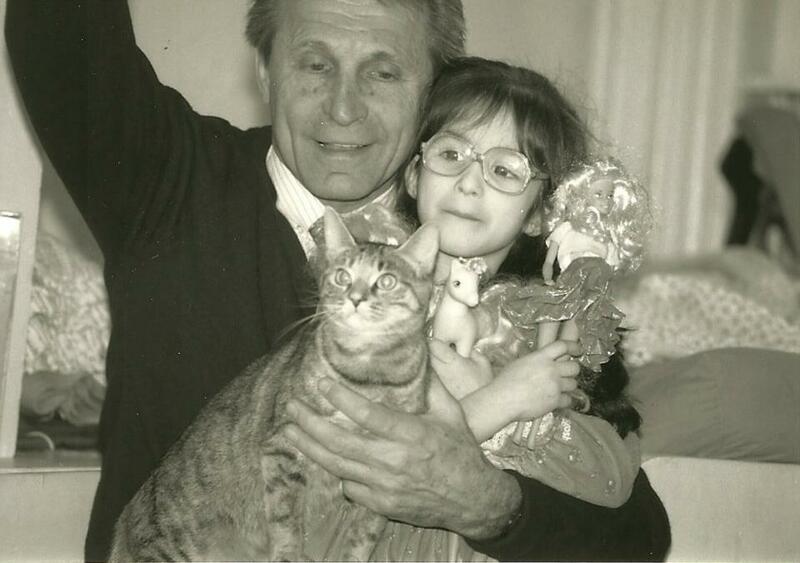 Few people remember that this internationally renowned artist’s first exhibition in the US was a solo show at the Zoë Dusanne Gallery. It included a group of roughly 20 watercolors and pastels selected from the 200 works that Kusama brought with her to America on this first trip. Kusama began her international career here in Seattle, where her celebrated work now returns with in the dazzling new exhibition, Yayoi Kusama: Infinity Mirrors at SAM through Spetember 10. As Louis Guzzo pointed out in a 1957 Seattle Times feature on Kusama’s Dusanne Gallery show, “Several of the smaller works are beautiful, but one must study them closely to realize the intricacies of their microscopic worlds.” Kusama asserts all of her work is part of a whole, a whole that we are all a part of in Kusama’s concept of the infinite. In 1959, two years after her Seattle gallery exhibition, the prolific artist and writer Donald Judd wrote of a Kusama show in New York: “Sidney Tillim writing in Arts, predicted that the show would prove the sensation of the season. It did prove to be so and has remained one of the few important shows of the last two years.” Judd’s remarks could have been written last week, as Kusama’s work remains as sensational today as it was in 1959. 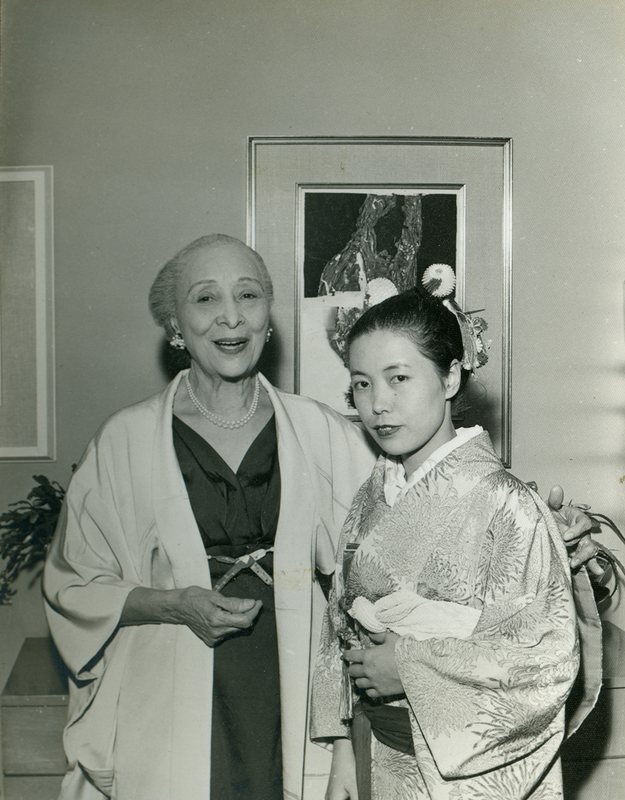 Image: Kusama with Zoë Dusanne at her solo exhibition at the Dusanne Gallery, Seattle, December 1957.